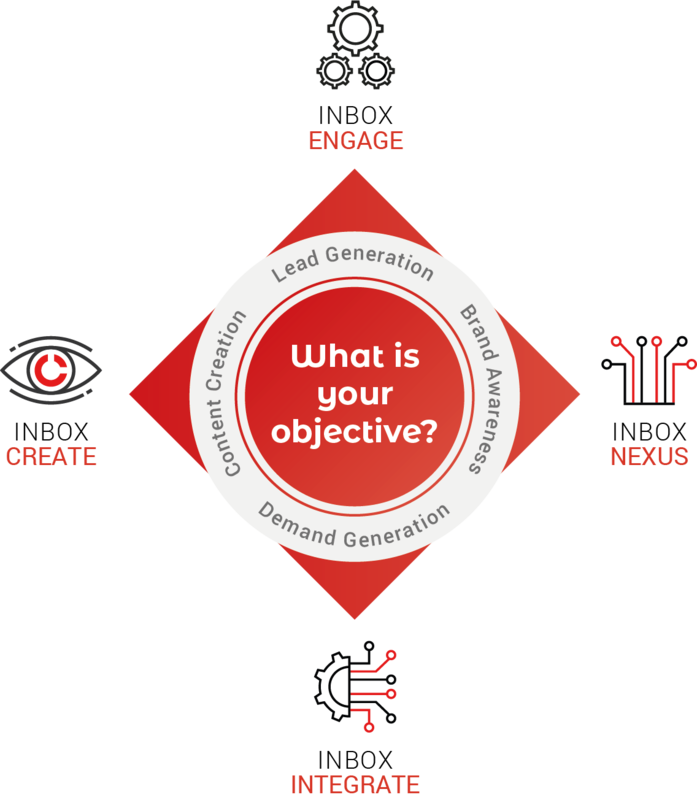 See how we can support your B2B marketing with a series of optimized demand generation products – all based on your objectives! InboxCREATE – Translate your content strategy into original, authentic content that achieves your goals. InboxENGAGE – Transform readers into qualified business opportunities, through the power of content! Locate your target audience and harness our digital intent signals to exceed traditional lead generation techniques. InboxNEXUS – Magnify your audience reach and scale with ease. This solution leverages targeted email marketing and the latest programmatic advertising technology to achieve outstanding reach. InboxINTEGRATE – A powerful end-to-end demand generation solution. See the difference this integrated, multi-channel approach makes as you reach and drive inbound opportunities with unparalleled precision and scale.